Великобританія запроваджує підтримку дитячих телевізійних програм. Держава фінансуватиме до 50% виробництва і дистрибуції нових дитячих шоу. Бюджет програми підтримки становить 81 млн. доларів. Фінансування розподілятиме на конкурсній основі Британський кіноінститут. Умови конкурсу будуть узгоджені у 2018 році. Перше фінансування можна буде отримати у 2019-му. Програму запроваджено для того, щоб підживити британську дитячу телеіндустрію, знану «Свинкою Пеппою» (на фото) та «Телепузиками». Нині вона переживає не найкращі часи. Наприклад, у 2016 році 87% усіх дитячих програм були вироблені ВВС. 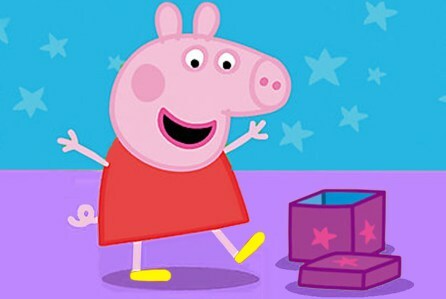 The British kids TV industry has been handed an $81M boost to fund the next Peppa Pig and Teletubbies – money that will be available for SVOD services including Netflix and Amazon, commercial broadcasters such as ITV and Channel 4, as well as the BBC. The government will fund up to 50% of the production and distribution of new kids shows as part of the deal, which will help stem the declining business, which has seen spending fall by $74M over the last ten years. Spending on home-grown children’s programming by public service broadcasters fell by 26% between 2006-16. In 2016, the BBC, which runs kids channels CBBC and CBeebies, accounted for 87% of all children’s programming. This contestable funding pot, which will be run by the British Film Institute (BFI), was first mooted by the government in May 2016. A detailed policy paper will be published in 2018 setting out how the fund will work, with the first awards distributed from the beginning of 2019/20.